My favorite part of what I do is meeting with each and every one of you! To start the design process for your personal needs, lets meet! These free downloads are my gift to you! These designs are for personal use only and any misuse of the design may be subject to legal action. In other words - please don’t steal my work, thats not cool. 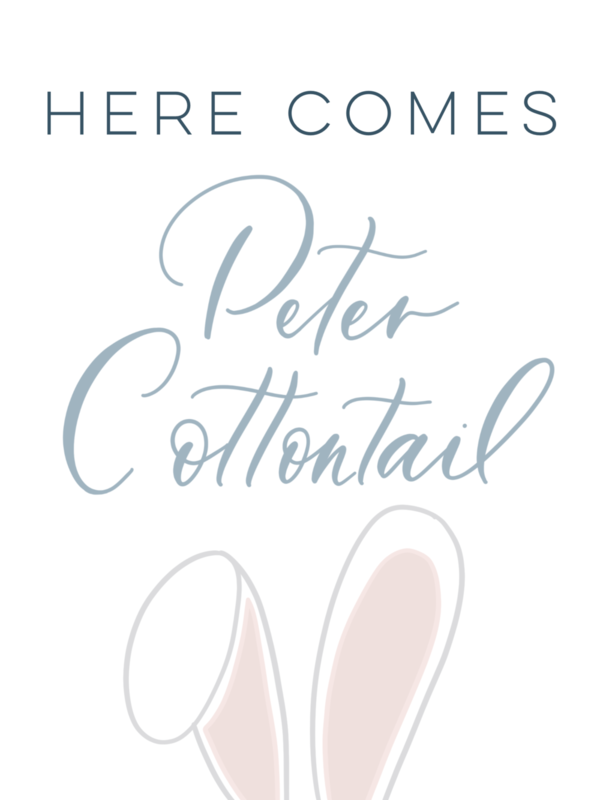 Hoppin down the bunny trail…. a hand lettered and hand drawn design? You need this. Don’t have time to decorate? I feel it. Print this out, frame it, and voila. You’re practically Joanna Gaines. Not really but at least you tried.